There comes a time when roll down windows and a tape deck just don’t say cool any more! Even if things aren’t that dire, it might be time for a new car. Are you upgrading to a snazzy new vehicle or your old ride has seen better days and needs to retire? It can be a hassle to figure out what to do with your unwanted car. Of course, even if the vehicle is not your style anymore. But, there is likely to be someone else that will take it off your hands. Let’s have a look at your options for an unwanted car. If your car has still got some life in it, you can throw it on Trademe – some people love a fixer-upper and may be able to give your broken car a new lease on life. Short of that, there’s the ultimate Kiwi experience – the good old demolition derby at the local speedway! Although not everyone’s cup of tea, it can be a fun way to take your old scrap car out in adrenaline-pumping style. If that all sounds too difficult, or you have a completely broken car that is fit only for the wreckers? You can contact a cash for cars Auckland (or whatever region you call home) car wrecker and kill two birds with one stone. Get your old car taken off your hands and get a bit of extra cash in hand. New Zealand is a nation of eco-conscious individuals and there is not much that can’t be recycled in our small, resourceful country – including your scrap car. Wrecking yards are the ultimate recycling pros: they make use of every possible part of your old vehicle and when there’s nothing but a shell left, they crush that down into a box and sell it to scrap metal dealers. We remove and sell the parts of your unwanted car – pieces of your car that are still intact, like mirrors, headlights and windscreens. We also recondition other components – even the engine. They will even drain and repurpose coolant and oil. How Do You Get Your Unwanted Car To The Wrecker? Is your car is no longer running or isn’t safe to drive? Then it can be a challenge to get it from your front lawn to a scrap yard. After all, there isn’t a tow truck trawling the streets with an announcement blaring ‘Wanted, dead or alive cars!’. It is you who needs to take an initiative to sell off your unwanted car. The great news is that a wrecker will come and collect the car from your house (or wherever you have parked it currently). But how do you get hold of these car wrecker yards to get rid of your old car? Before you start contemplating looking through the phone book, there is no need to go old school and ring around dozens of companies in search of the right deal. 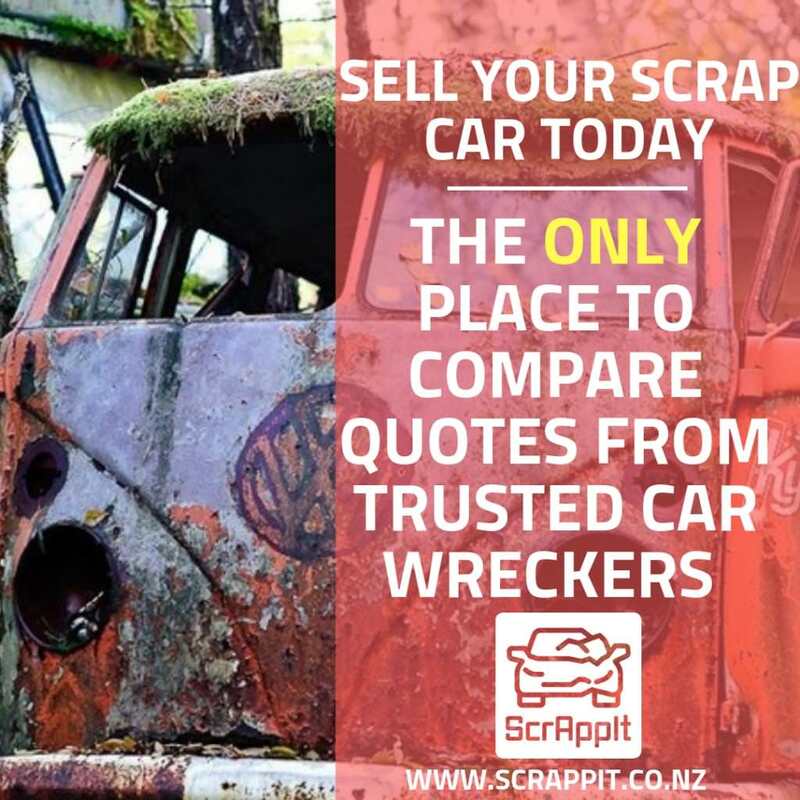 Scrappit has a simple online system that takes the headache out of selling your unwanted car for cash. All you have to do is visit our website, take 60 seconds to fill out some basic details, and that is it. You will receive a range of competitive quotes from nearby car wreckers. Pick the one you like the most and arrange for them to come and collect your scrap car. You’ll receive cash on the spot. It is! And there is even more good news. We have a nationwide network of car wreckers. And because they know they are in competition with other buyers, you will get the best offer the first time. Our merchants look at a variety of factors when giving you a quote. This includes where the vehicle currently is, the make, model, year, and the overall condition. Any quote that Scrappit guarantees is so practical. So you can be sure that the price you are quoted will be exactly what ends up in your pocket when they collect your scrap car.. There are no hidden costs and car collection is totally free.